When it comes to selling your company, the best thing you never knew you needed is a virtual data room. And when it comes to selling your company, what you don’t know can and will hurt you. Prospective buyers are counting on you to make mistakes when selling your company. Afterall, your mistake goes straight from your pocketbook to your buyer’s. The first time I heard of a virtual data room was from a prospective buyer for my EdTech, Embanet. The prospective buyer was a seasoned buyer with years of industry experience. I had never sold a company before and had no idea what a virtual data room was. I was the amateur, and the prospective buyer knew it and circled in. Looking back now, I should have known I would receive a low offer. 3 times EBITDA to be precise. I made it my mission to learn everything I could about selling a company. Yes,the amateur night was over. A mere 18 months later I had a 9-figure offer that was 13 times EBITDA. Never underestimate the power of knowing what not to do. What changed for me have the offer go up 10 times? Enter the virtual data room. What is a virtual data room and why should you have one, even if you’re not selling your company? When it comes to selling your business, a virtual data room is the best thing you never knew you needed. Think of a virtual data room as a secure online warehouse to store sensitive information. Instead of emailing confidential information, hundreds of times, you do it once. 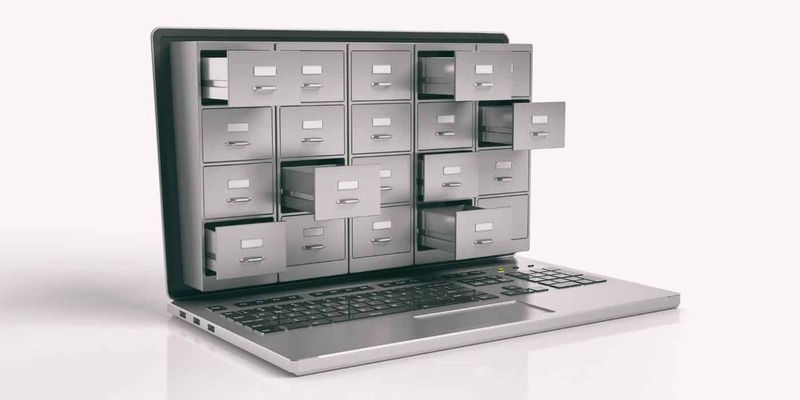 Once your information is ready, a virtual data room can be set up in days and is available 24/7. The buyer saves on travel costs, and you save on hefty legal and accounting fees to collate and copy reams of paper. You have control over what and how buyers access your information. You know who is in your virtual data room, how often, how long, and what’s of interest. Paranoid that your confidential information will fall into the wrong hands? It happens. But now you can watermark every document, so you know who the source is. As important as saving time and money, a virtual data room shows your future buyer that you’re serious. When preparing to sell your company your virtual data room is the center of the universe for your buyer. Imagine you’re a prospective buyer about to spend six figures in due diligence. Do you look at the company who put the time, effort, and money into a virtual data room, or the one that didn’t? Save amateur night for the amateurs who don’t use a virtual data room. So, you ask, what do you put in the virtual data room? Keep reading to find out how you win and lose a deal by what’s in (and not) the virtual data room. A virtual data room is to due diligence what peanut butter is to jelly, and salt is to pepper. To sell your company for the top dollar, you’ll need top quality due diligence materials. Suppose you forgot to include an important document as part of your due diligence. Or what if you closed a big deal yesterday that adds significant profit to your company. With a virtual data room, you have the power to add this information at any time. Every buyer in the process has instantaneous access to the new information. So what do you include as due diligence in your virtual data room? Planning a massive market disruption? Great! Tell your future buyer all about in your virtual data room. Think you have a unique company culture that sets you apart from the competition? Your buyer can read all about it in your virtual data room. Your financial future depends on the information in your virtual data room. When it comes to selling your company, your best salesperson is your virtual data room. Set up your virtual data room right and it will always be closing for you. How does your virtual data room help you seal the deal? The faster a buyer can do this, the better. For all involved. Your virtual data room removes fears, creates excitement, and provides confidence for buyers. You already did the heavy lifting when you created your virtual data room. Knowing how to choose an investment banker is important. But a virtual data room overflowing with key data and information trumps everything. Even a great investment banker. Oh, one last thing. What comes first? The virtual data room or the investment banker? The answer to this question can change your financial future and destiny. For the answer, read the last section. Smart sellers prepare their virtual data room before selecting an investment banker. Buyers generate more money for your investment banker over the long-term. You, my dear reader, are a one-time transaction. To be clear, your investment banker is your advocate. But you’re in business to be in business, as is your investment banker. Imagine you’re the guest of honor at an awards dimmer. Do you show up in jeans or dressed up to the nines? What a loaded question. And of course, you’ll choose the latter of the two options. Your company’s valuation comes from emotion first and backed up by logic afterward. I’ve had many passionate conversations with investment bankers on this topic. Investment bankers insist that a company’s value is a number in a spreadsheet cell. We’re all human, even the buyers, and emotions trump logic. Any and all skeletons for your company lowers your value in your investment banker’s mind. You’re guilty and never proven innocent. You won’t hear this from an investment banker. You’re hearing it from me, your fellow business owner who had a 9-figure exit with a 13 times EBITDA. Imagine how much higher my offer could have been if I had my virtual data room prepared first. When you are virtual data room ready, it’s like showing up to the awards dinner looking like the rock star you are. Prepare your virtual data room first before selecting an investment banker. Your valuation will be higher, and you can retire rich and happy. Interested in selling your company for top dollar? Your virtual data room is the best friend you never knew you had and is the gift that keeps on giving. Yes, your virtual data room costs both time and money, but once it’s ready, you take back control of your time. Gone are the days of answering the same questions from different buyers. Say goodbye to hundreds of emails that bounce back from large files with your sensitive data. You track the activity of every buyer in your virtual data room. Know which buyer is a tire kicker and which one is serious. And you’ll love how quick and easy it is to add a last-minute buyer to the process in no time and costs. Still wondering if you need a virtual data room? Like it or not, due diligence is a necessary part of the process of selling your company. Your virtual data room speeds up due diligence and makes you look great in front of your future buyer. And when in doubt remember me. I went from a 7-figure 3 times EBITDA offer to a 9-figure 13 times EBITDA sale with my company. The virtual data room played a large role my transformation from amateur to expert. The mere presence of your virtual data room impresses your future buyer right out of the gates. You’re off to a magnificent start. Know that your virtual data room helps you unlock and realize your future success.